When we first heard that LOOK was introducing the Keo 2 Max Blade, we knew we had to give it a try for ourselves. After all, the Keo 2 Max Blade was combining the incredibly successful Keo 2 Max design with the Blade leaf system pioneered by the Keo Blade—all at a lower price point. We reviewed the Keo Blade 2 last winter and were thoroughly impressed. So we had high expectations for the Keo 2 Max Blade when we finally got our hands on it late last year. Before we share our thoughts, let’s go through some of the specs. As we mentioned earlier, the Keo 2 Max Blade is really a combination of the Keo Blade 2 and the Keo 2 Max. And yes, we found ourselves getting a bit confused with the naming conventions, too. To help clarify things a bit, the Blade featured in the Keo 2 Max Blade is made of an injection-molded fiberglass composite rather than carbon. The blade can also be swapped out to allow the rider to select the amount of spring tension they prefer (cleat entry and release). 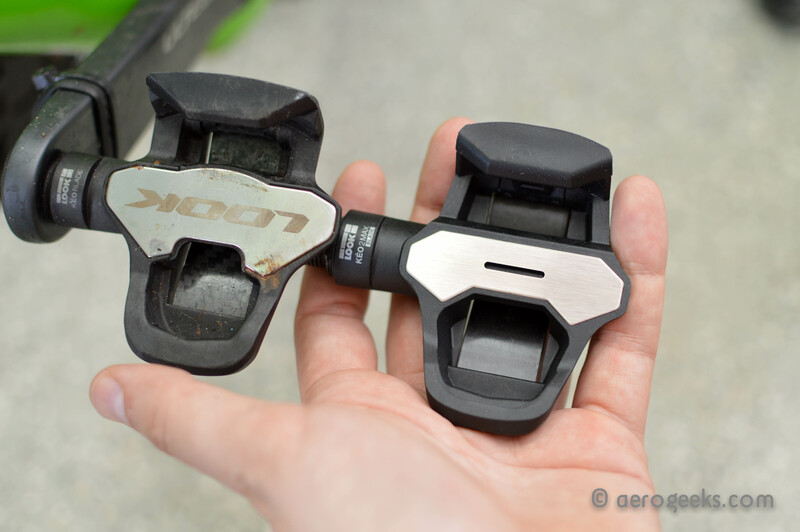 The blade comes in two versions—8 and 12 (our test pedals were a 12). LOOK claims that the Keo 2 Max Blade features “new clip-in and clip-out sensations,” which from what we experienced with the version 12 blade, is very solid. In fact, it did take us a couple rides to get accustomed to unclipping. 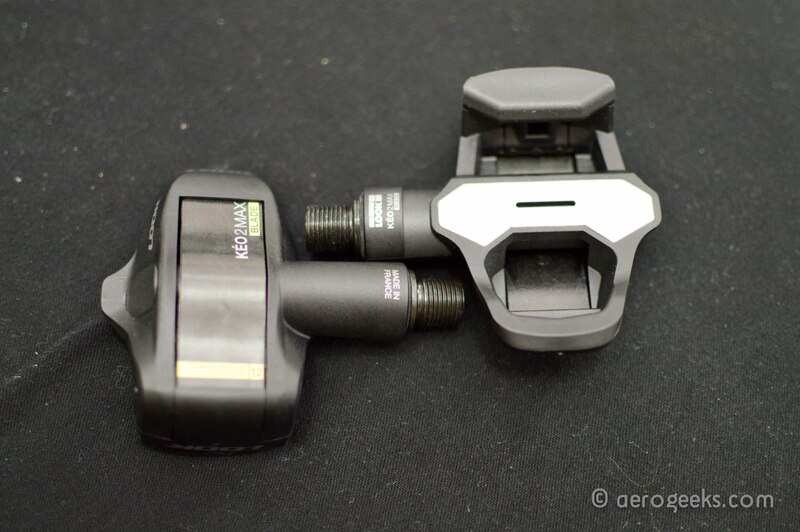 However, one thing worth noting is that our multisport editor, Tracy, did most of the testing with the pedals. We think a heavier rider might not experience quite the break-in period as she did. So if you’re a lighter rider, the version 8 blade may be a better choice. You can always swap to the 12 if needed. 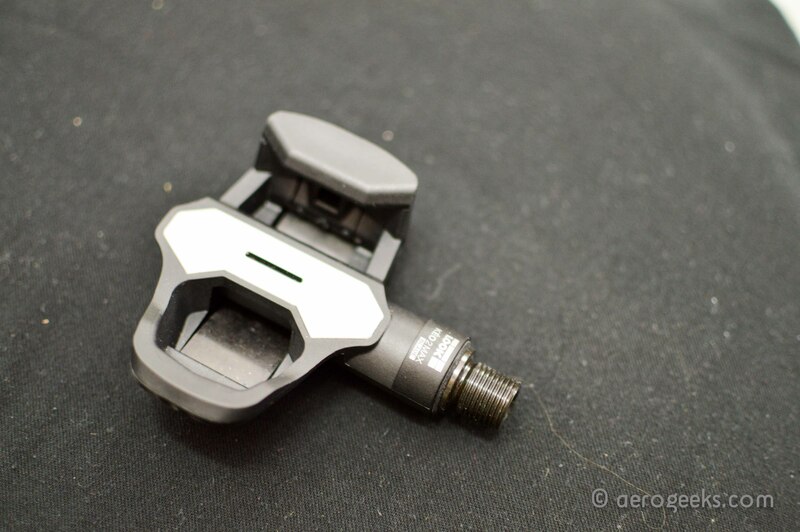 First we did notice a few other reviews online mentioned concern over the fact that the blade completely encloses the pedal. That could come up as a concern if you often find yourself traipsing through the mud, but we’ve never had a single issue with the pedal becoming clogged with dirt and grime. Second, we were very fond of the fact that the blade provided a solid, flat surface under the pedal. This meant that our foot had a solid place to land in case we missed our mark on our first attempt to clip-in, which certainly comes in handy if you’re trying to get going from a dead strop through a busy intersection. 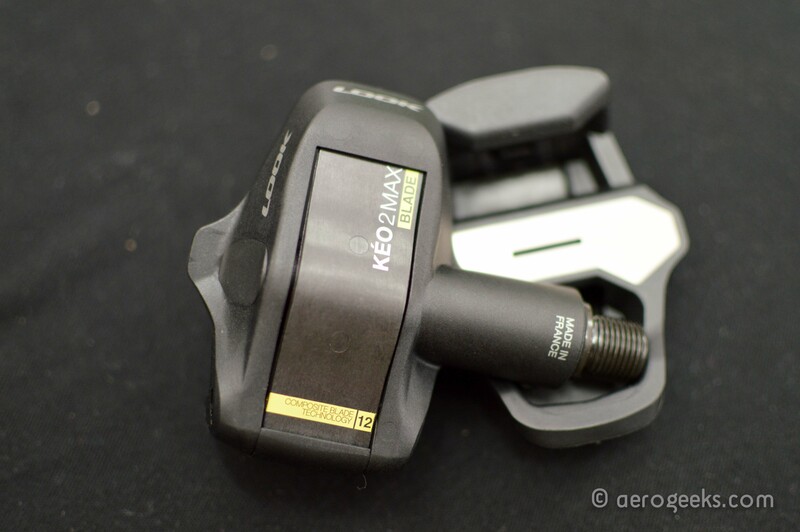 The Keo 2 Max Blade’s stack height is slightly less (14mm) than the Keo 2 Max (15.7mm) and also features a larger, wider platform area for more efficient pedaling. When compared to the Keo 2 Max peals, which had a 57mm wide platform, the Keo 2 Max Blades’ platform measures at 60mm wide. The total platform area of the Keo 2 Max Blades comes in at 400mm2. 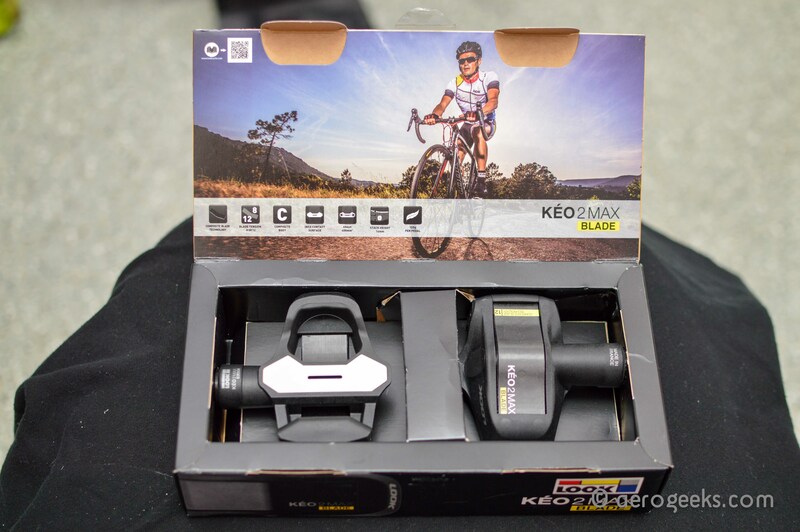 The Keo 2 Max came in at 340 mm2. LOOK claims that this provides a better surface for comfortable and efficient pedaling, which we’d have to agree with. Throughout our time with the Keo 2 Max Blades, our feet have felt stable and solid on each and every ride. We’ve especially noticed a difference at times when we really hammer down the power. There is a stability and stiffness there that is hard to describe exactly, but it’s definitely noticeable—and in a good way. As for the pedal’s spindle system, it’s the same as what you’ll find on the Keo Blade 2—two ball bearings and one needle bearing. LOOK claims that it’s put its products through tests of 2 million cycles at 100 rpm with a 90 kg load on the center of the pedal. According to LOOK, this is the equivalent of a 1,700 watt sprint by Mark Cavendish at 100 rpm for 333 hours. 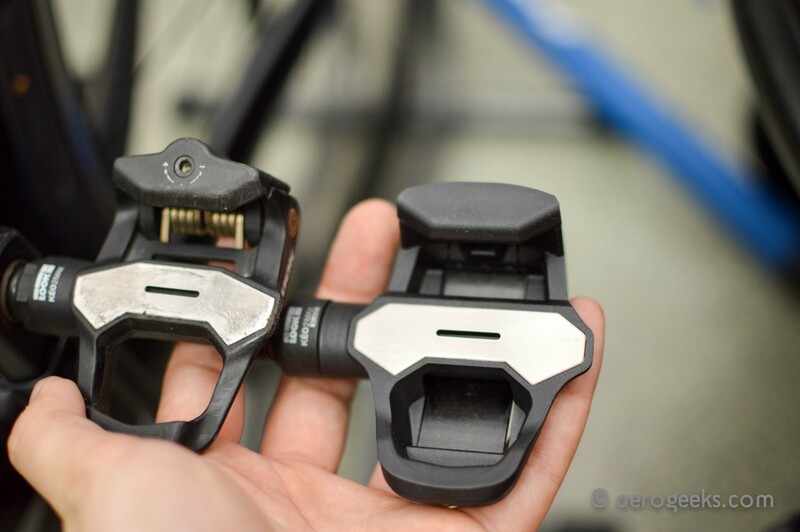 While we certainly can’t replicate that specific test, we will tell you that our pedals have held up just fine through road grime and wetness since we first started riding them several months ago. Our Keo 2 Max Blades weighed in at 126 grams per pedal (LOOK’s claimed weight is 120 grams, or 308 grams per pair with cleats and screws). They’re priced at $199 in either black or white, but you can easily find them cheaper online. 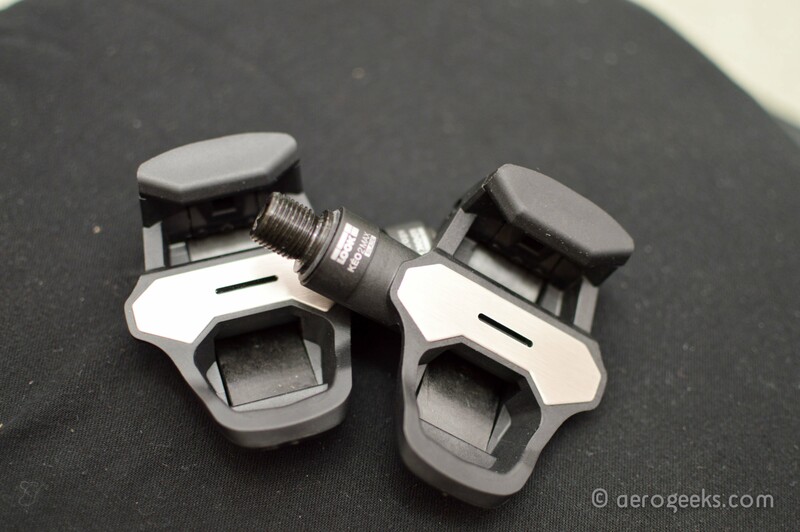 A set of grey Keo Grip cleats is included (for a 4.5 degree float), but if you’d like different options, you can also purchase LOOK’s red cleats 9 degree float and black for zero float. Overall, we thoroughly enjoyed our time with the Keo 2 Max Blades. The larger surface area provided for a ton of stability and power transfer, and the Blade technology worked as it should (with the added benefit of a flat surface on the underside of the pedal). We also loved the fact that you could swap the spring tension levels to meet your needs as a rider. 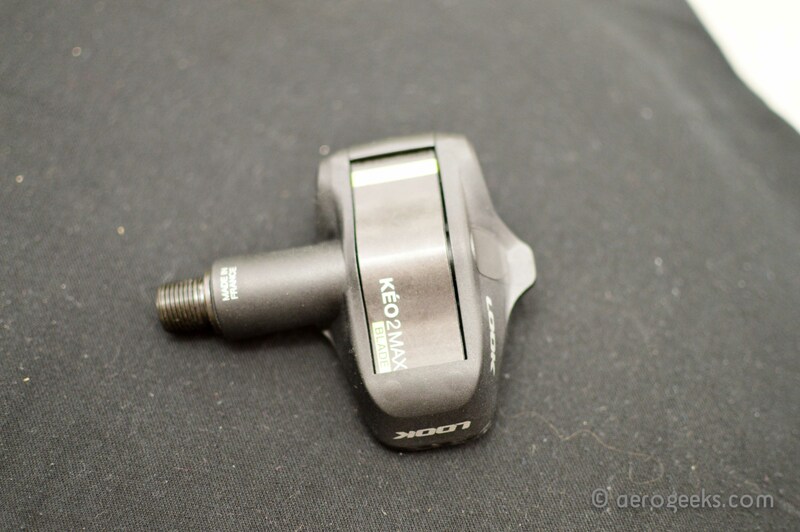 So if you’re on the market for a new set of pedals, we’d highly recommend giving the Keo 2 Max Blades a serious look. Interesting. Would love to see you review Nikola Pedals http://bit.ly/1QEzfhM No good review out there and just don’t know what to make of them. Hi Stephen – we hadn’t yet but we are working to see what we can do! The naming convention is definitely confusing (and we suspect more than one person has probably read the wrong review for the pedals). Regarding comparisons it starts with weight – the Max Blade comes in at 126g vs 110g for the Blade 2. The Blade 2 has 700mm of contact surface area while the Max Blade has 400mm. Also the Max Blade is available in 2 stiffness settings (8 and 12) while the Blade 2 starts at 12 and adds 16 and 20. 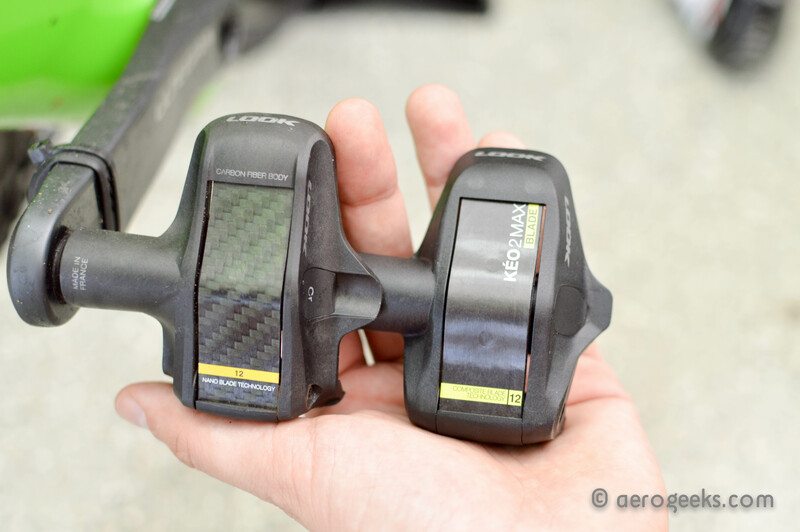 Since we tested the Blade 2 12 and Max Blade 12 the engagement points were extremely similar. We did find the Blade 2 to provide a slightly more sturdy feeling on full out efforts.